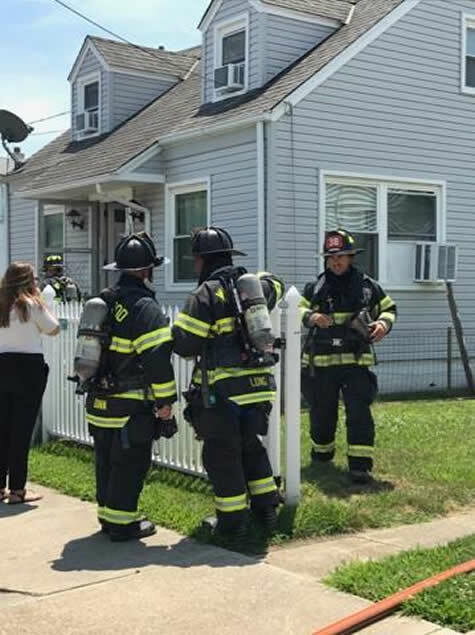 Wildwood City firefighters responded to 318 West Taylor Avenue at 12:39 PM July 12, 2017 for a reported porch fire. Deputy Fire Chief Ernie Troiano III arrived confirmed a working fire and requested the alarm up-graded to a box alarm. Quint Company 3, under the command of Captain James Grauel, arrived and began fire suppression. NWFD Quint Company 2 arrived and backed up Quint Company 3 with fire suppression and opening the building up. Fire area was on a rear second-floor deck with ...extension into the building and roof area. Fire was placed under control within 20 minutes after the fire departments arrival. Fire units remained on scene for over an hour checking for extension. 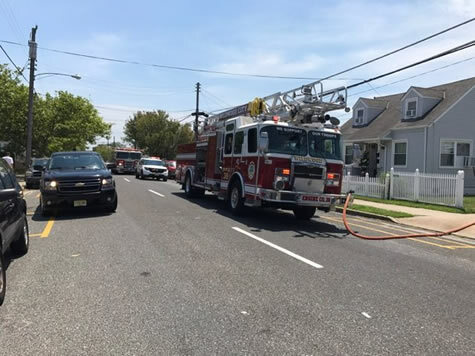 The Cape May County Fire Marshal’s Office and the Wildwood City Fire Department conducted an origin and cause investigation. 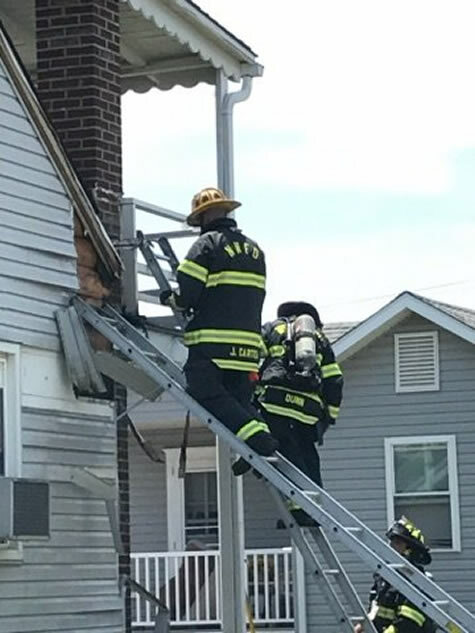 Fire was determined to be accidental as a result of discarded smoking material. No injuries were reported. Damage estimated at $ 5000. Wildwood Police also assisted on scene. During this incident several other fire incidents were responded to including fire alarm activations at two separate high-rise buildings in the city.